SPARTA — Highland High School students will host the inaugural community wide Color Splash FUNDrun by Get Active Fundraising on Aug. 18 at 9 a.m. to raise money for their school. 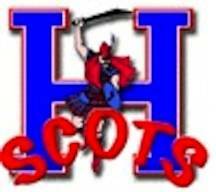 It is being hosted by the Highland Music Boosters at Highland High School. “Rather than sell goods, we want to engage the entire student body in a fitness initiative that aims to encourage a life-long healthy way of living,” said Amy Trusler. Participants who register by Aug. 3 will receive a T-shirt, race bib, and individual color packet. You can sign up for the run by visiting secure.getactivefundraising.com and searching for your event or by completing a paper registration form. Business sponsorship opportunities are also available. Contact the event organizers for more information: Amy Trusler, atrusler@americanfreight.us or call Amy Decker at 740-815-5952.